MVRDV and The Why Factory in collaboration with the Hong Kong Design Center (HKDC) presented ‘Porous City’ at the 10th edition of BODW, Hong Kong’s annual Business of Design Week. 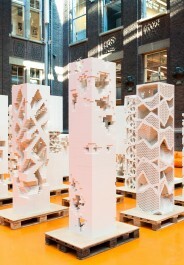 Addressing the evolution of the skyscraper in the Asian context, BODW will showcase 9 LEGO® towers completed this year at the TU Delft and another 101, which students of Hong Kong universities and practicing architects will produce during a workshop run by MVRDV and The Why Factory during BODW. The Why Factory collaborated with Krads and Lego, which has donated 200,000 of its little bricks on a series of architectural investigations. 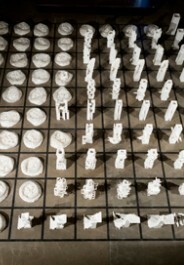 From 11-16 September, these experiments were presented at the Helsinki Design Week 2012. MVRDV and The Why Factory exhibited a collaborative project ‘Freeland’. Presented as an animated documentary on a multi-screen surround projection, Freeland explores the prospects of complete liberation of urban planning. It questions whether classical centralized planning is still needed in times of increased individualization and if instead a self-organized city can be imagined. What can be organized individually and when will we need our neighbours? What are the “minimal common grounds” of our developments? 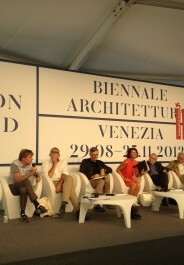 The EU City Program was launched at the Opening Conference of the Venice Architecture Biennale, hosted by the President of the Biennale, Mr. Paolo Baratta and the curator of the 13th Architecture Venice Biennale Sir David Chipperfield. In the presence of European authorities, mayors and architects, Winy Maas (MVRDV/The Why Factory) presented the EU City Program, including studies on heritage, population density, economy, landscape, energy, resilience and monitoring in Europe. 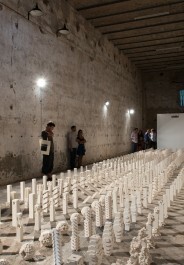 An on-going study by The Why Factory titled Porous City was exhibited at Spazio Punch in Guidecca to exemplify the research approach presented in the EU City Program. The exhibition presented a collection of 676 scale models made of one million LEGO® bricks, that display an extensive catalogue of qualities and potentials of porosity as a European way to urban density. 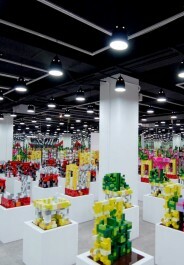 ‘Welcome to the Vertical Village’ exhibition opened at Total Museum of Contemporary Art Seoul. In the exhibition visitors walk through a giant model of a possible Vertical Village to experience its spatial richness and three dimensionality. 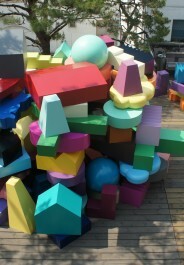 The show was open to public between June 20 and October 7 and features films, an outdoor sculpture and a giant vertical village made of more than 700 objects. The Erasmus Huis (the Dutch Embassy Cultural Center) in Jakarta invited Daliana Suryawinata to curate an exhibition involving works from The Why Factory. “The Vertical Village” exhibition explored the topic of rapid urban transformation in East Asia, the qualities of urban villages and the potential to realize this in a much denser, vertical way as a radical alternative to the identical block architecture with standard apartments and its consequences for the city. 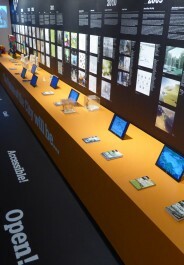 The exhibition consisted of analytical research, a grid of models, various movies, a documentary and animations, two software packages and a 6 meter tall installation of a possible Vertical Village developed by MVRDV and The Why Factory. Visitors could design their ideal house and compose their own Vertical Village with parametric software. Berlin is Germany’s Cinema Capital with its large variety of different programmes and events, in particular the International Film Festival Berlin. Yet there are numerous challenges facing the city’s cinema landscape today. The cinema of the future cannot solely focus on new forms and techniques of presentation. Cinema’s positioning in urban space also has an urbanistic, societal and design dimension. 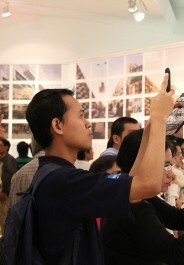 The exhibition included four key issues tackling the physical form of cinema and its socio-cultural role in the city. It was based on two international architecture workshops at ANCB on the cinema of the future and includes the new design for the ZooPalast and its integration in the city. 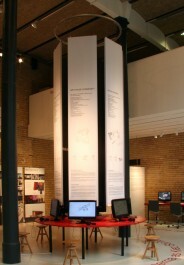 ‘Opening the Tower’ exhibition took place at the Faculty of Architecture TU Delft from the 16th of May until the 5th of June 2012. It presented two sets of experiments exploring different aspects of porosity on two significantly different scales. 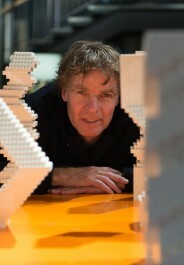 Built with approximately one million white LEGO bricks – 676 towers on scale 1:1000 and 16 towers on scale 1:100 investigated development of possible new relationships between mass and void in large-scale architecture. 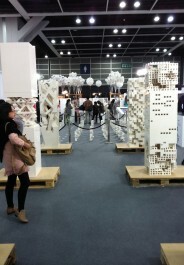 The material presented at the exhibition was a result of Eurohigh design studio led by The Why Factory through fall semester 2011/12. The studio was developed and supervised by Prof. Winy Maas, Alexander Sverdlov and Ania Molenda in collaboration with KRADS and support from LEGO and Arup. 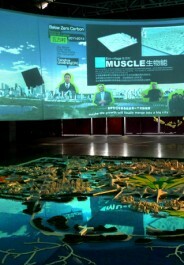 The results of the Genetic City project were exhibited at the Shanghai World Expo in a stunning multimedia installation. 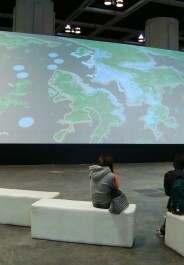 A 45m long screen provides a 360° continuous animated panorama of the new eco city. Step by step, in interviews and presentations the progression of the city growing with time, was presented. During the Business of Design Week Hong Kong in December 2008 The Why Factory presented results of the master class ‘Hong Kong Fantasies’ which was held from October 19 – 31, 2008 at CUHK. During that master class directed by Winy Maas almost 70 students from 5 different universities from the Netherlands, Hong Kong and Beijing were collaborating in a joint studio to explore possibilities and to generate design concepts for the future development of Hong Kong. 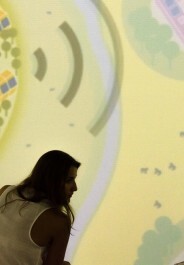 The results were presented in a form of a video animation and a conference.